Dude! 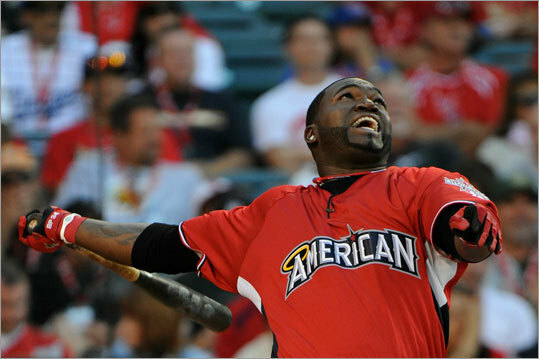 Can you believe Big Papi won the Home Run Derby last night? I was a bit incredulous yet happy for our lovable DH. I can't excited by the Boston version of Asher Roth, but I'll throw this out there. For those who want to read more, I trust The Phoenix's Chris Faraone (here and here) about hip-hop. This is probably one of the few smooth jazz gigs that I've posted. Whatever you think about the genre, the musicianship is excellent -- and live music in the park on a hot, hazy summer evening can be a refreshing break from the usual weeknight. Do you think you can you handle a jazzy cover of "Don't Stop Believing"...? Trotman & company might whip it out. Tonight is the first of 5 consecutive Thursday concerts. Picnics are encouraged. Why just watch the YouTube clips of the "angriest man in the world" at home, when you can watch a whole documentary about it for free? If you saw Sunday's off-topic video, the director was researching viral videos. After a little digging on the guy with the most profane blooper reel while making a cheesy RV video, he knew there was enough story to focus on Jack Rebney, the "Winnebago Man". Please arrive early. Seating is on a first-come, first-served basis and is NOT guaranteed. There will be a long line that might be unbearable with a large, cool beverage. No need to print out a pass, which seems like a more civilized approach. All advance tickets have been sold. If you have a hankering for top-notch modern bluegrass, Lizard Lounge holds a few tickets to every show to be purchased at the door -- but not many..
With no premeditation, I found myself in a hipster clothing store about a week ago. I had to find out who was playing over the sound system, so I overcame the looks of derision and asked. That wonderfully scuzzy blast of guitar-pop was So Cow. I don't sense any punk aggression in the Irishman's music, it's the sound of frenzied passion (closer to The Soft Boys or Wire) of his clever tunes. Definitely give it a listen one way or the other. To amp the hipness quotient another notch is the all-female post-punk group Wetdog from London. Nothing grabbed me by the ears and pinned me against the wall into submission, but it sounds like something that could reach your heart on repeated listens. Get there early to enjoy the joyfully ramshackle garage-rock of The Needy Visions (especially when singing in honor of hometown Weymouth) and gazey-indie of Camden.